Welcome to Indian Hills Apartments! 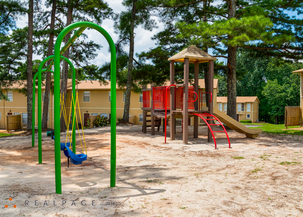 In a tranquil location atop Greenbriar Mountain, you will discover Indian Hills Apartments. Indian Hills is conveniently located within minutes of Quintard Mall, The Oxford Exchange, Regional Medical Center, I-20, dining and entertainment. Experience the convenience of living in the city, with the privacy of a secluded, wooded location. Indian Hills offers spacious 1 bedroom flats and 2 and 3 bedroom townhomes that feature bay windows, sunken living rooms and ample storage space. Enjoy coming home to beautiful landscaping, a sparkling swimming pool, great views of Mt. Cheaha and more. Welcome home to quality, excellent customer service and affordability. Welcome home to Indian Hills!